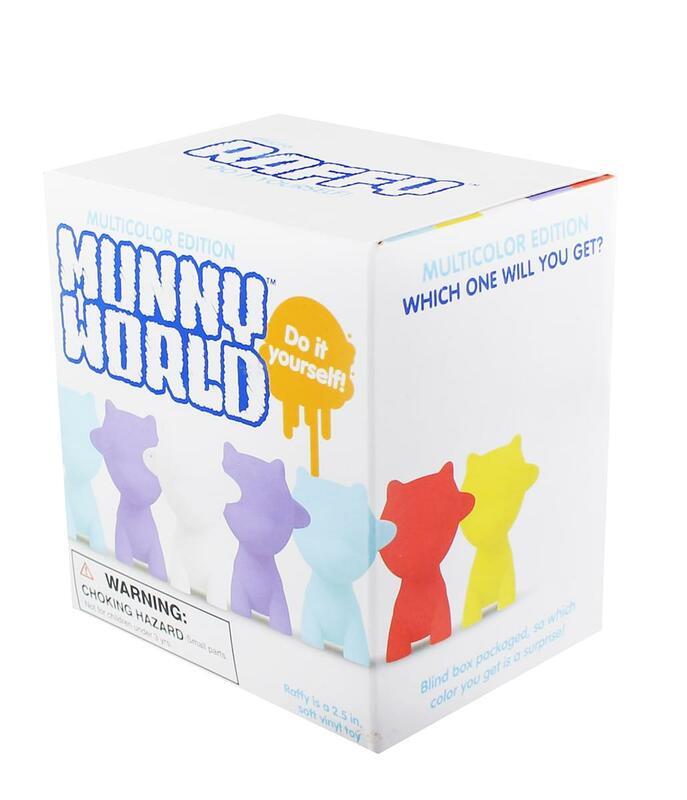 Munny World presents Raffy, a new blind boxed DIY micro figure that you can customize! These tiny DIY toys are 2.5-inches tall and come in five fun colors: Red, Yellow, White, Cyan, and Blue. Blind packed, each box shows which character hides inside, though which color you get is a mystery! Each comes with a vinyl micro paint can, a clear sticker sheet of stick-on accessories (like a bow tie, eyes, mom tattoo, zippers, and more. ), and a clear practice sticker to get the jitters out.